Over the years my wife and I, already the parents of our own four great kids, ended up being blessed with kids from friends and family whose circumstances led to their children moving into the First Church of Chaos – our family home. Health accidents, automobile accidents, family dissolution accidents – all events that parents never anticipated, didn’t want, but fortunately did plan for. Before deciding any other issues about taxes or rates of return or how to pay for your young Einstein’s PhD. at USC, consider who will parent your children if you and your beloved are not here for the duration of their upbringing. We could populate a town the size of Anaheim with the parents who avoid choosing their replacements because the very thought of the question tends to give them the creeps. 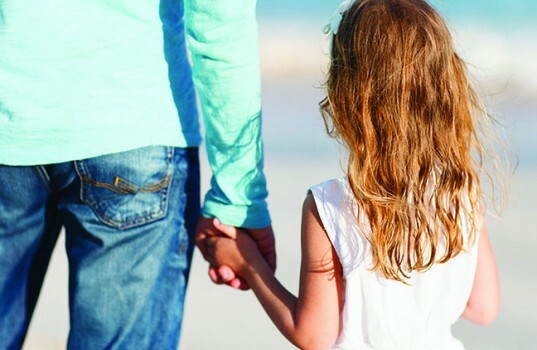 Understandable, but we all know that the single most important issue in your life is the wellbeing of your child, so the single most important step you can take in planning for your child’s future is to make sure there is someone there to be a parent to him or her should you be off the scene. So, how to tackle this sensitive task sensibly? First, sit down together and select a triad of names for your counsel to list as your children’s parents. Also consider what happens if one of the members of the couple you select passes away or if the couple gets a divorce. That is a crucial issue that your lawyer needs to address in your documents (most likely the pour over will that goes with your trust – more in a later column). Some of us are blessed with large families that we get along with; some are not. For the second group, those of us without brothers or sisters or cousins that we would trust raising our kids, consider those people who fall into the category of what one of my nieces calls a “BFF.” Sometimes friends, especially lifetime friends, understand our wishes better than our family members understand them. Speaking on behalf of all grandparents everywhere, you might want to consider our role as more advisory than participatory. In some cases, of course, we might make the first line of defense against homeless grand kids, but it is always a great idea to talk it over with us before making that choice. It’s particularly important to make sure health is not an issue, since the last thing a child needs is to move from one tragedy into another household waiting for the same event to occur a year later. Not sure about Granddad’s health? Default to your college freshman roommate, the one who talked you into getting married instead of joining the French Foreign Legion. That advice has worked out so far for you, right? Think of the process this way: who among friends and family shares you and your partner’s child rearing values? The answer to that question will get you started in your search for names to put into the equation. Think about the core values you share in your household, and try to consider whose family, and its leaders, have goals and dreams that mirror those of your family circle. Remember a simple fact of life: some of the best families in the universe are ones where the kids were invited into the homes they belonged to, rather than having been born into them. My two best friends both have families where they and their spouses adopted kids and proceeded to create phenomenal places of growing, learning, love, and fun. If we remember that our absence can offer that same kind of transformation in a new home, it makes our selection process a great deal less traumatic than what it might otherwise be. We’re giving our kids a second chance if we are gone.